Friday was School Disco night for a particular school out at Cleveland, which we have done twice now. 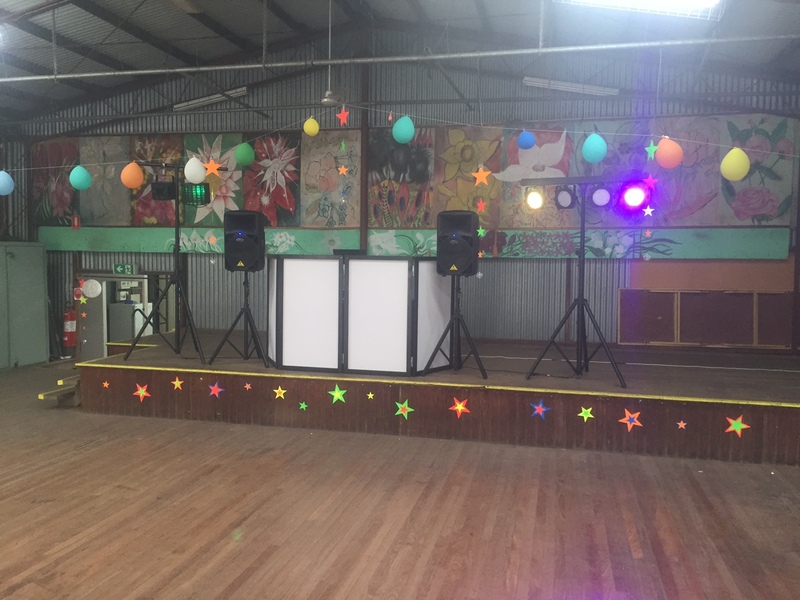 DJ BEX was on the stage setting up and ready to go at 5:30pm to entertain the kids for a few hours. Bex said the night went really well and “…Went off!” – all the students had alot of fun. She did some games with them and they requested a few of their favorite songs as well. She got some great feedback from the parents and the teachers which is what we love to receive. I am sure BEX is looking forward to coming back again!